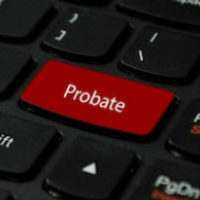 When most people think of the word “probate,” they think of the process of having to go to court and validate a will. But what many people do not realize is that probate court can serve as both a way to protect the disabled and elderly from financial and physical abuse, while also opening them up to potential abuse. In fact, this has become such an issue that a number of prosecutors and reformers are now examining our long-standing tradition of courts appointing strangers to decide how someone lives, how their money is spent, and who can visit them. As we discuss below, this is a situation that you want to avoid by consulting with strong legal counsel ahead of time to help ensure that you and your loved ones are protected, as you see fit. A husband having to defy court instructions and remove his wife from a substandard board-and-care home, where she had been placed by a conservator. Arguably, fiduciaries involved in these programs are not regulated thoroughly enough in any state. Under Florida state law, they must file a petition for appointment, complete 40 hours of instruction and training, and submit to both a background screening and investigation of their credit history, in order to embark on a career as a professional fiduciary. They must also take an examination that is approved by the Department of Elderly Affairs and register with the Office of Public and Professional Guardians. However, the statute does not apply to a professional guardian or any of their employees when that guardian is a trust company or national banking association, and it also does not explicitly address citations and other enforcement actions. You and your loved ones deserve to ensure that they are protected in their retirement. Contact our Orlando probate lawyers at Gierach and Gierach, P.A. today to ensure that you are getting effective advice in our estate planning process and have the personal approach that you need to ensure that you and your family can be at ease when it comes to your finances and estate.